The northeast region of the United States woke up to extra crisp temperatures this morning and you know what that means – fall is in full effect. 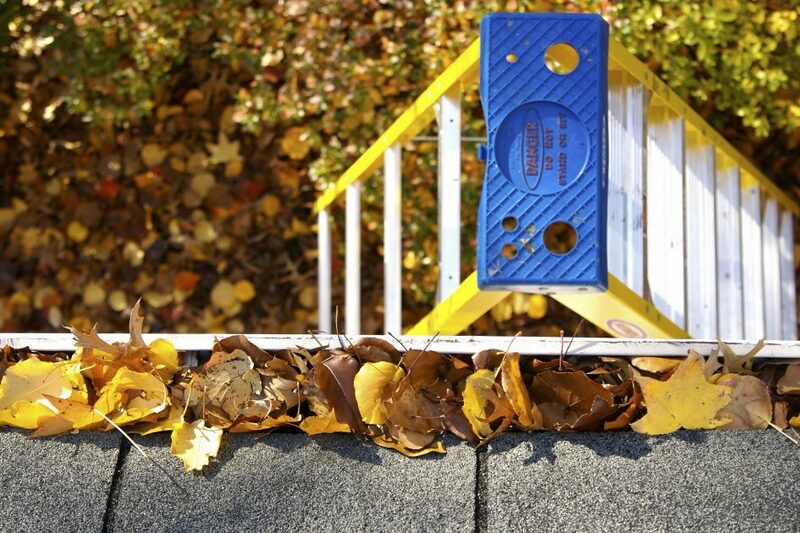 With cooler temperatures comes falling leaves and when the leaves fall, it’s time to get outside and clean the roof and gutters. But before you break out the ladder and get ready to work, read the gutter and roof cleaning tips below. They’ll help keep you safe and eliminate wasted time! If you plan on getting up on a ladder to clean the roof or gutters, make sure it’s planted firmly on flat ground. Avoid using a wooden ladder as they tend to be the least sturdy. Using a hose? We recommend attaching a spray nozzle that allows you to adjust the water pressure with just one hand. This way you can keep the other hand planted on the ladder. Gutter scoops and trowels work well when it comes to getting rid of wet leaves and debris. Stay away from metal tools as they can scratch or damage the inside of the gutter. If you need to walk on the roof, wear rubber-soled shoes or spiked roofing shoes. They tend to adhere better to the roof’s surface. Refrain from tossing leaves and dirt onto your lawn. Toss it onto a plastic tarp instead. Once you’ve finished cleaning, it’s a good idea to flush out the gutters and downspouts with clean water. Use a garden hose to do so and check for leaks during the process. Not ready to take on the project yourself? Give the roofing and gutter experts at North East Home Improvement a call and let our experienced professionals take care of the job for you! (203) 321-6695.